No festive makeup is complete without a sprinkling of glitter. 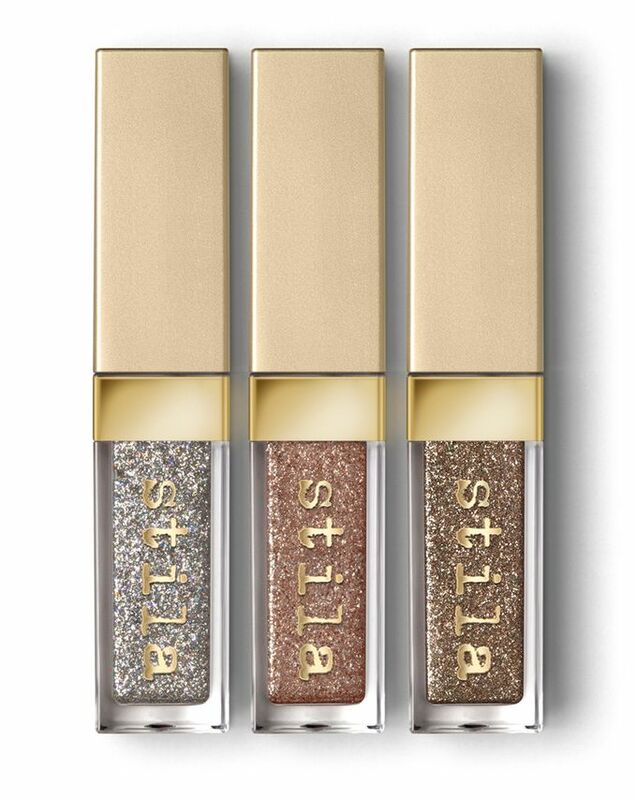 Stila’s Magnificent Metals are such simple way to add a pop of glitter to your look, and they are SO easy to use! These liquid pigments are quick-drying (and long-wearing) to make sure your sparkle lasts all night. Available in 12 shades. I am wearing shade Smoldering Satin: SHOP HERE. 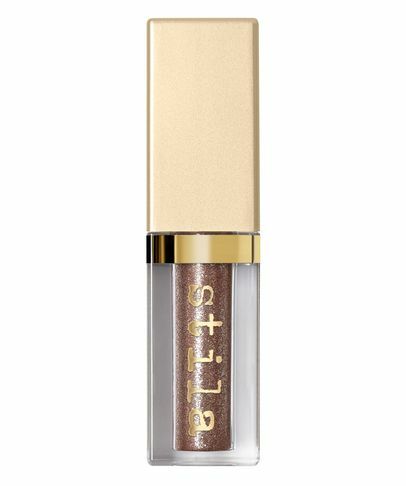 Stila’s liquid eye shadows are for eyes with serious sparkle. The oh-so-shiny, rich colour pigment takes glossy shimmer to new goals. It’s your perfect party make up essential. This stunning shadow pigment combines pearlescent and glitter particles to guarantee all eyes on you. The water-infused texture is super easy to apply, thanks to the applicator wand and dries to a shimmering finish that never dulls. I have worn this all night to events and it hasn’t budged – but at the same time it always feels comfortable to wear and removes easily at the end of the night. It also cares for the skin with conditioning glycerin, while triethanolamine forms a protective barrier between the skin and the glittery pigment. 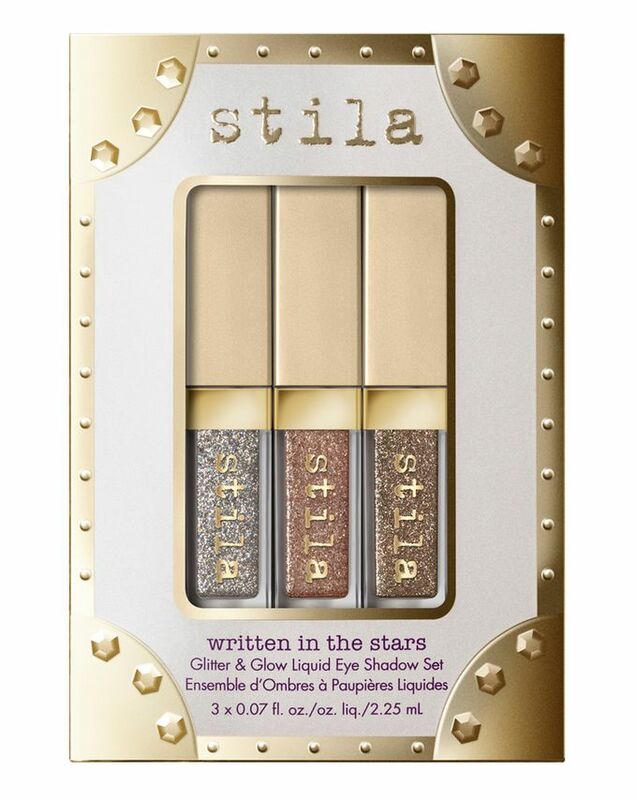 Get starry-eyed over this Stila trio, with three deluxe sizes of silver, champagne and pewter shades. The perfect Christmas present (if you’re willing to part with it). 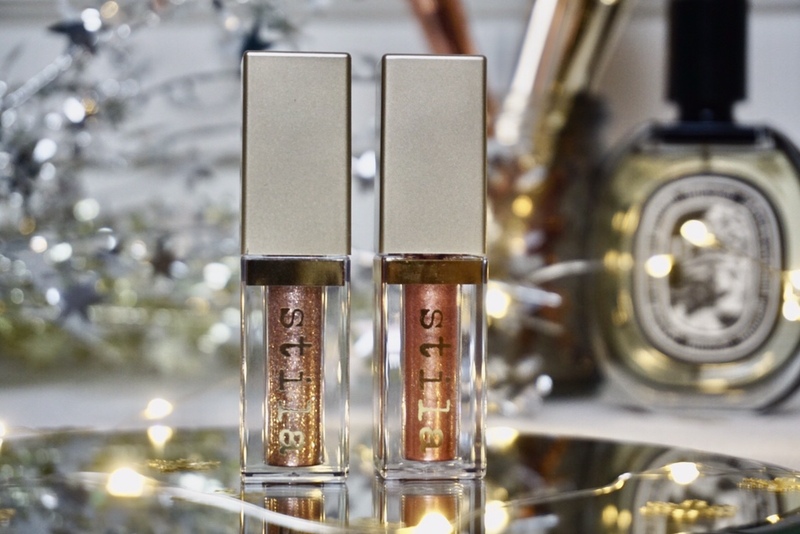 Perfect for the festive season, t When it comes to colours, there’s Diamond Dust (a sheer silver with multi-hued glitter), Kitten Karma (champagne with silvery copper glitter) and Smoky Storm (light pewter with silver glitter). PR Samples included & affiliate links used. View my full disclaimer HERE.